Born to a clan family in Japan, Torakusu Yamaha, forever changed the world of music. He is one of the founder and to whom the brand is named after. His determined interest in Science and Technology had led him to what Yamaha is today. Initially, he studied watchmaking and as well as business. Then, eventually he started to repair medical equipment and he was invited into a hospital in Hamamatsu. Though, there was one occasion when he was asked to repair a reed organ in a certain school. Of course, he had done it successfully. This event has started his fascination with the organ and its potential in business. As a result, he made his very own version of an organ. To be able to have his work recognized by the Music Institute or Tokyo National University of Fine Arts and Music, he did the unthinkable by crossing the mountains of Hakone with his organ slumped on his back. However, his first creation was criticized as poorly made. This, it made him decide to officially music theory and tuning. After four months of gruesome hard work until the wee hours of the morning, he was finally able to recreate his organ. In the year 1887, it was when Mr. Yamaha built his own prototype of Reed Organ. After 10 years, the company was officially established and was formerly called Nippon Gakki Co., Ltd. Ever since Yamaha has been making its timeless musical pieces. In the year 1954, classes started in the Yamaha School of Music. The sister company, Yamaha Motor Co., Ltd., was then established in the year 1955. From the year 1959 to 1965, Yamaha Corporation has been innovating and continuously creating new instruments to meet the demand of the local and international market. Furthermore, they also established a Music Foundation that extends to certain parts of Europe. To celebrate their 100th year in the business, the company name was officially changed to Yamaha Corporation. In June of 1963, a subsidiary of Yamaha was established in Singapore and was called Yamaha Music (Asia) Private Limited. They are responsible for the distribution and retail of the musical instruments. Also, music schools are strategically located for aspiring musicians. Then, finally, in the year 2013, Yamaha Music Japan Co., Ltd. was established. Currently, the sales of Yamaha Musical Instruments continue to grow and has been doing well for the past years. The present President and the Executive officer is Takuya Nakata. The head office is located at Hamamatsu Shizuoka, Japan. As of today, the logo of Yamaha continues to be the symbol of the company's success. In the year 1898, after the company was established, they decided to use a tuning fork as a mark, then finally used a trademark that is described as a Chinese phoenix holding a tuning fork. According to Yamaha Corporation, the three tuning form in their mark represents the three things they stand for such as production, sales, and technology. In addition to this, it also embodies three essential music elements such as melody, harmony, and rhythm. 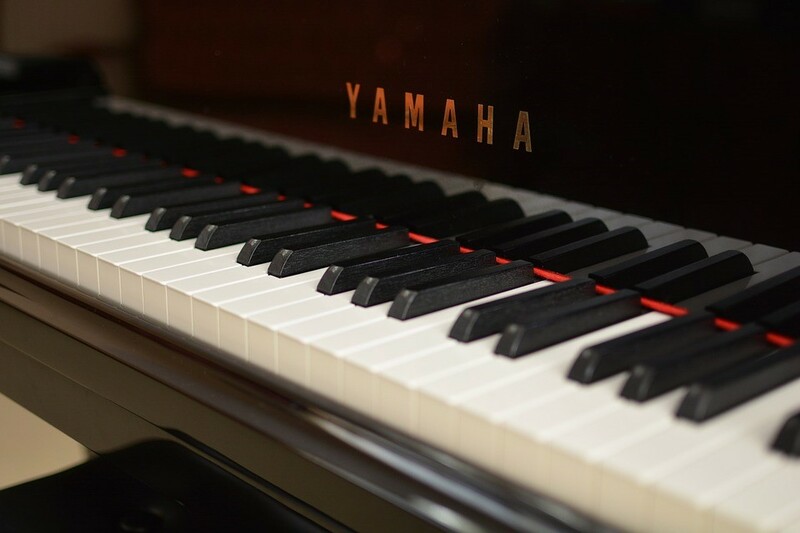 The piano is one of the primary product that Yamaha Corporation offers. It can be seen through the website or physical store for an overview. There are different varieties of the Piano. The first type is the Acoustic that is further classified into subgroups such as the Premium Piano (considered as one of the best), Grand Piano and the Upright Piano. Aside from the traditional type, there are also hybrids such as the Disklavier and the Silent Piano. The Disklavier is one of Yamaha's very own, it has a special feature where the music can be recorded and played back. Also, there is the Silent Piano, where the acoustic sound is omitted and immediately transformed into digital reproduction. The Digital Piano also comprises the multiple products that Yamaha has to offer. 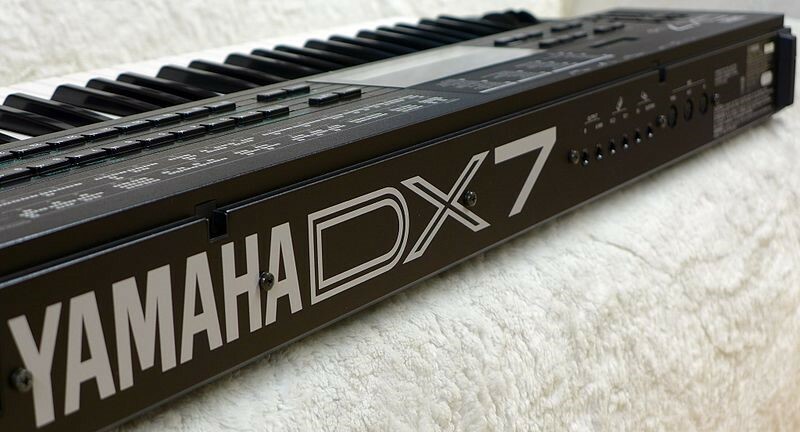 The models that are available for the Digital Piano are the following: The Clavinova, The Arius, the P-series, The Portable Grand, and Synthesizers and Stage Piano. To further enhance the performance of the musical instruments, accessories such as speakers and apps are also available for sale. What is a music store without a guitar, of course, Yamaha also offer this musical instrument? There is a variety of the guitar product such as Acoustic, Classic, Electrical, Bass, and their very own the Silent Guitar. The models for the acoustic guitars include A Series, FG/FGX, F/FX, APX, CPX, and Trans Acoustic guitars. Travel guitars are also available that are considered to be compact and portable. The Classic is the one that is made of Nylon with different models available such as CG/CGX, C/CX, NX, CS, and School. The line of electric guitar include models such as Revstar, Pacifica, RGXA2, and RGX. Mike Stern's signature model has also been redefined with wood finish. The Bass guitar also has a series of models such as Bb Series, BB, TRBX, and RBXA2. Most importantly, Yamaha also offers its innovative model, the Silent guitar. It has a unique design and ultra-quiet performance that can still bring a natural tone. To maximize the use of the guitar, amplifiers, accessories and computer apps (that can be connected to iPad or iPhone) are also being offered by Yamaha. A one-of-a-kind creation is the Session Cake Series, which allows your instrument to link with others for band rehearsals free from hassle and space consumption. The Yamaha Music Store also has a wide choice of Keyboards. The Arranger workstations are just one of the type of Yamaha keyboard, it gives the user the ability to be diverse in the style and effects of the real music voices. 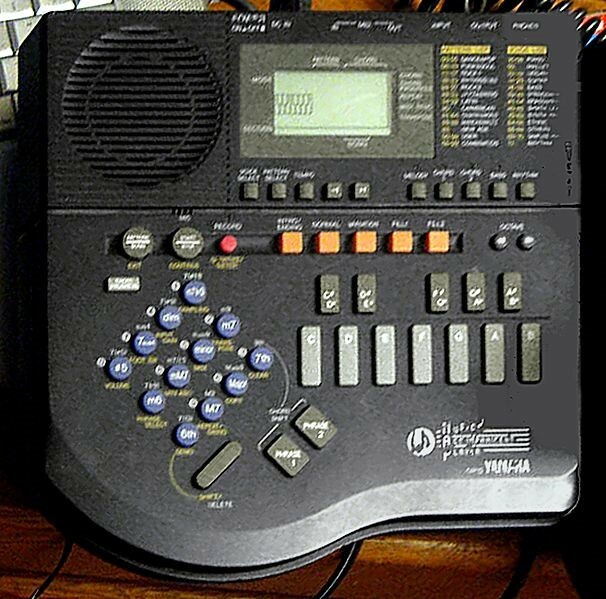 In addition to this, the portable keyboard is another model offered by Yamaha. The Electone is another model that a music enthusiast can choose. Furthermore, Synthesizers and Stage Pianos are included in the Keyboard variety. Enhancement of the music produced can be done using accessories. The Celesta is the type of keyboard that is often heard being played in films and orchestras. The Pipe Organ is the one that can be seen at the back of a large concert hall, with rows of steel pipe. What is a music store without a drum set? Yamaha has a wide variety of drums that are as follows: Acoustic, Compact Drum Sets, and Snare Drums; not to mention accessories such as hard wares and racks. The acoustic drum sets include models such as Tour Custom, PHX, Absolute Hybrid Maple, and Live Custom just to name a few. A wide range of musical instruments and accessories are available in this music store. In addition to this, some of the limited editions created by Yamaha can only be seen in this Yamaha outlet. Furthermore, the compact drum set has two variety namely Junior Kit and Stage Custom Bop Kit. For the Snare drums, there are wide choices of both metal and wooden drums. In addition to this, there is a creation inspired by Akira Jimbo who is a known drummer from Japan and is considered to be a signature piece by Yamaha. The Music Cast is one of the current and most exciting innovations that was developed by Yamaha. For music lovers, this is a piece that they will surely love. At home, it has the ability to bring music to every room at home with the use of Bluetooth and wireless connection. The only requirements are the Music Cast, Wi-Fi connection and the app downloaded through Apple or Android device. In Tokyo lies the heart of Japan, along with this the flagship of Yamaha Music Instruments is also built in Ginza inside Tokyo. It has been in business since the 1950s and continues to be a favorite destination for musicians all over the world. It is exactly located in 7-chrome 9-14 Ginza, Chuo-ku, Tokyo. It is opened daily from 11 am to 7 pm. It is accessible through the train via the Tokyo Metro, alighting the Ginza Station. This pioneer music store has a total of 12 floors. The basement has the Yamaha Ginza Studio and it also showcases Guitars, Drums and Digital Musical Instrument. Also, the first floor contains the Pianos that are digital and portal, it also has Yamaha's unique creation, The Electones. On the second floor of the building, thousands of CDs and DVDs are for sale, bearing mostly Jazz or Classical music. Next, we have the third floor, which displays music sheets and music books and it makes it look more like a music library than a music store. The Wind, String, and Percussion instruments are for sale on the fourth floor. It has an overwhelming number of selections of musical instruments. Though, the main item displayed is the huge concert xylophones. At the fifth floor, one can shop around inside the largest piano collection in all of the Yamaha stores; not only that, they can test the piano for free at the AVITEC soundproofing lab. On the sixth floor of the Ginza store, there lies the Yamaha Ginza Concert Salon, which is a mini concert hall that contains 100 seats and normally used for music recitals. It is unbelievable that the seventh to ninth floor contains the Yamaha Hall that can accommodate 333 people, it is believed to be a full-size concert hall. Lastly, from the tenth to twelfth floor, the Yamaha Music Avenue Ginza or the Music school is located. It has an amazing and beautiful interior design that can accommodate at least 3,000 adult students with massive music studios. In Indonesia, there are a total of eleven authorized Yamaha distributors. The first store is located in K2C Supermall Pakuwon Indah, it can be specifically found in Surabaya City in East Java. The second store is located in Melodia Musik, Kota SBY in Jawa Timur. Lastly, the third store has its location in Irama Mas that is also in Kota SBY in Jawa Timur. These are just some of the retailers to name a few. In Singapore, there is a total of three Yamaha music store and one Yamaha music school. The store located in the Plaza Singapura branch is considered as one of the flagship stores of Yamaha Music (Asia) Private Ltd., which is a subsidiary of Yamaha Corporation in Japan. It has been in the business for years and was built in 1975. Moreover, it is also accompanied by a music school. The other two music stores are in Tampines Mall and Kallang Leisure Park branch. In Sri Lanka, there are two official distributors of the Yamaha musical instruments. One Music Centre is located in Colombo 00700 and the other one is at Master Wok Restaurant Building in Moratuwa. Technology indeed increases the comfort for the music enthusiasts. The nearest location can be traced using their Yamaha website. It has a page called dealer locator that finds an authorized retailer near the home of a person. There are just two important things that need to be input such as the model or series number and product type. This type of service by Yamaha makes space a lot of time for the potential buyers when info is just available through the use of their fingertips. This foundation was established on August 29, 1966, and is currently located in Tokyo, Japan. It was in the year 1954 that Yamaha Corporation started programs for music classes. Then, in 1959, it was officially named Yamaha Music School. Several schools were built internationally such as in the United States, Germany, and Singapore. Then, as years went on, additional schools were established such as in the Netherlands, Norway, Australia, and in the Philippines. In the year 1971, the schools were opened in Italy, Hong Kong, and Austria. In addition to this 197 was also a productive year as more schools were established in countries like Switzerland, France, Spain, Sweden, New Zealand and Brazil. Furthermore, the schools have spread throughout South American countries such as Peru, Chile, and Argentina. In the year 1988, a support program was created as a scholarship for those who wanted to study in the Music school.